With the arrival of iOS 9.3, Apple began letting third-party developers tap into the activity data gathered by its Watch. Taking advantage of the insights, developer David Smith has created Activity++, an arguably better alternative to Apple’s native Activity app. Priced at $2.99 for iPhone and the Apple Watch, the app is very similar to Apple’s own but offers a better user experience and some neat new features. The first thing you’ll notice is the alternative dashboard. Activity++ focuses on your progress towards achieving goals in daily movement, exercise and standing. You can clearly see how many minutes or hours you exercised, stood or moved around, as well as how many calories you managed to burn. All of your progress is tracked on detailed animated graphs, which you can access by tapping on any day of the week and you can view them all side-by-side for comparison too. The design of Activity++ is cleaner than Apple’s native Activity app as well, especially if you’re using it on the Apple Watch. 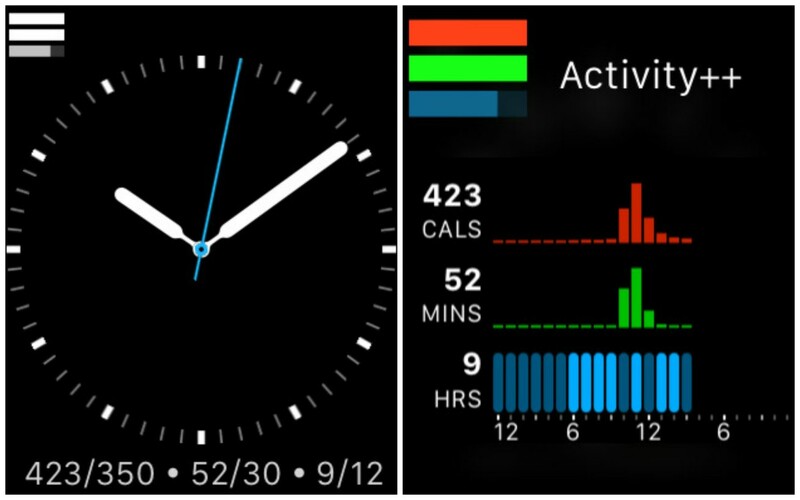 The Apple Watch version uses bars rather than circles to show your progress, with activity on the top, exercise in the middle, and stand on the bottom. You’ll get three solid stripes at the end of the day when you’ve achieved your goals, which is much more sleek looking than Apple’s use of colorful circles on its own app. On the iPhone app, Activity++ opts for a timeline view of each day, rather than a calendar. This makes it much easier to scroll through and to identify your activity patterns. Probably one of the best improvements it makes on Apple’s native app is the statistics view, allowing you to see your best streak, average days, best days and number of days you’ve hit the mark. And when you do hit your targets six days in a row, Activity++ rewards you with a rest day without upsetting your streak. So, if you’re the type of person who is motivated by data, you’ll certainly appreciate the app’s tactical and approach to tracking your activity.